Q: I noticed there is a new version of PDF Studio. I am currently running the version X.x.x. Should I uninstall the older version before I install the new version? Or is it OK to just install the new one over the old one? A: This will depend on whether or not you would like to have two different versions on your system. 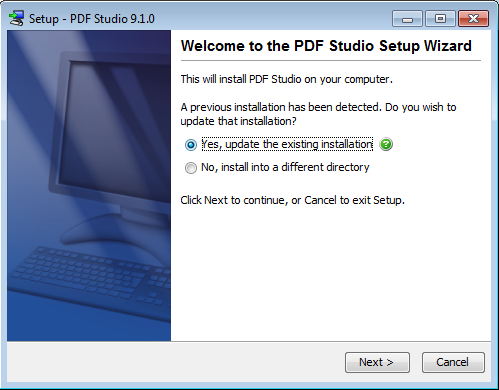 You can either have PDF Studio update your current version or PDF Studio can be installed in two separate directories so that you can keep both versions running if you would like. Once complete, run the application as you normally would.